Girth Sores- What to do? Summer in the Carolinas mostly guarantees one thing: sweat. For any humans like myself with a, ahem, low center of gravity, that tends to mean chafing and wondering whether the cooler benefits of shorts are worth sharing your equestrian-pale-legs that highlight that recent cellulite. For the horses, recently it seems to mean girth sores. Jack may be prone to these already, being the very thin skinned creature he is, but they have definitely increased with the humidity and mercury. I’ve moved him into a fleece girth, and hope that will make the difference. 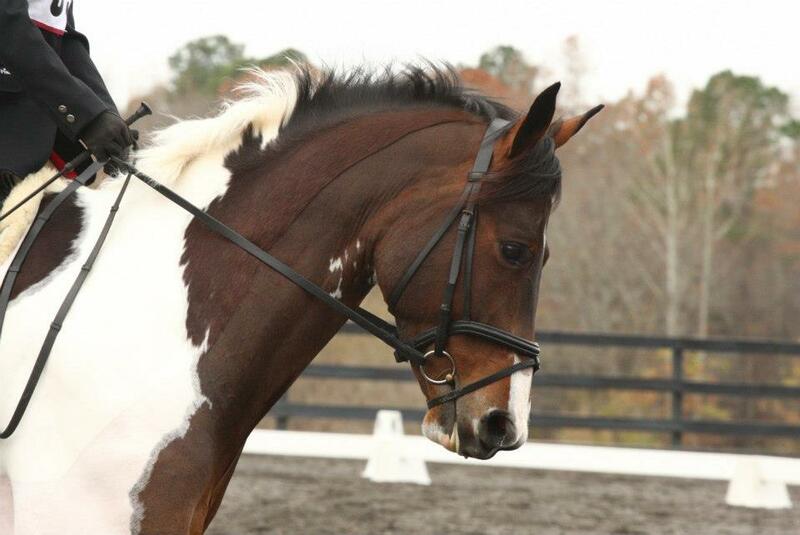 TC is in his shoulder relief girth and I may have to find a similar solution for this. Does anyone have suggestions for girths or ointments that could help both boys not feel the chafe? Bickmore Gall Salve is AWESOME for rubs of all kinds! It was invented by the Amish to be able to keep their work horses going while allowing sores and rubs to heal. I use it on spur rubs and girth rubs when Dino is in a weird shedding phase and it’s THE BEST. Good to know! If the Amish use it and it works.. I imagine it must be tough stuff! my 4* trainer uses baby powder on his horses with girth sores. he uses that for boot rubs too. my horse currently has a scurfed and scabbed up elbow and i’ve been putting bag balm on it to very good effect. good luck and let us know what works for you! interesting! I have some of this (thanks to trying to keep Foster clean) so definitely worth trying. Oh no!! Hopefully a fleece girth will help. I have never experienced them myself so unfortunately I do not have any suggestions. Good luck! I have used Desitin cream on them before, but let them heal completely before putting any girth back on. Luckily they aren’t *too* bad yet, but I want to get ahead of them. Looks like I’m off to buy some Desitin! Near me, they sell it at the dollar store! Pre-baby that’s where I always grabbed it. I use desitin for the burnable bits on Luna’s face and also get it at the dollar store. So much cheaper! baby powder or desistin. I have also heard of making a paste with baby powder and oil or water. That seems slightly messy to me. Make sure girth is clean. I use baby powder for my mare in the summers. Something will work for sure! Ugh! Girth rubs are so frustrating, especially because it derails your riding. I agree with the baby powder suggestions (though I often use baking powder, not even sure where I picked that distinction up!). This might not help you, but I’ve known people to use Preparation H on small spots (not raw ones) that rub easily. The thought process is to toughen up the skin. Justin actually gets rubbed more often from his TSR girth, but goes perfectly fine in his old, rusty, cheap neoprene girth. Go figure. Good luck! We used to get girth sores with Shasta. I like to keep a bottle of isopropyl mixed with water and spray down sweaty areas after rides even if they get rinsed. The alcohol speeds drying and kills any potential bacteria/fungus. I learned the alcohol trick from working at a summer camp in West Virginia where is was boiling hot and the horses got ridden 4-5 times a day so they would get lots of sores/funguses without this. It’s worked really well for me for years. We also found that the fleece girth trapped moisture and she did better with a synthetic. I use the sheepskin cover for my TSF girth on Nilla and would recommend that if you need a softer option for the TSF.